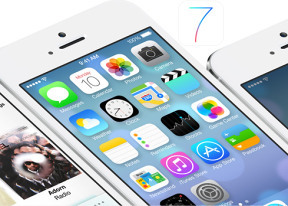 iOS 7 brings one more feature that users have been asking for - automatic app update. Once you turn it on in the App Store settings, your apps will update automatically (via Wi-Fi only) and you'll get notifications for the completed updates in the notification center. If you decide to use the automatic app updates, the Updates tab in the AppStore will display a list of all recent updates. The App Store offers another new feature - Nearby apps. Here you'll find the most popular apps people have downloaded in your current location. The App Store has a new hidden extra that will be appreciated by those using iTunes gift cards. You can now scan the card codes with you camera right in the App Store interface. Honestly, the Game Center has always looked awful. Apple finally did something about it and we like it. The Game Center offers pretty much the same functionality - it has your games, your friends and your challenges. Apple has announced a new connectivity mode that will be supported in a wide range of vehicles, starting in 2014 - iOS in the car. You will be able to see your iPhone screen on your compatible car display. And you will be able to control it via your car controls or just tell Siri via your car audio system what you want to do. You will be able to use navigation, dictate messages, make calls, play music or iTunes radio, and more. Among the confirmed car manufacturers to integrate the new service are Honda, Mercedes, Nissan, Ferrari, Chevrolet, Infiniti, Kia, Hyundai, Volvo, Opel, Jaguar and Acura.